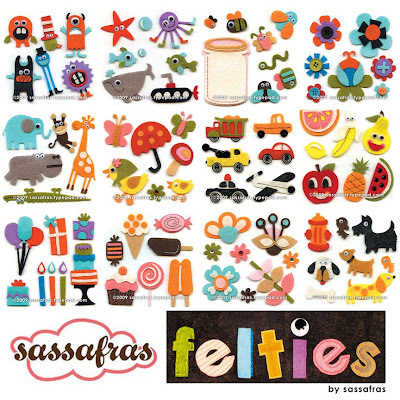 When I first saw the sneak peaks for the new Sassafras felties, I just knew I had to have some! How could you resist adding fun texture with those cute little monsters and critters? I was lucky enough to get my hands on some and can’t wait to share my review and projects with you. I really enjoyed playing with these cuties! 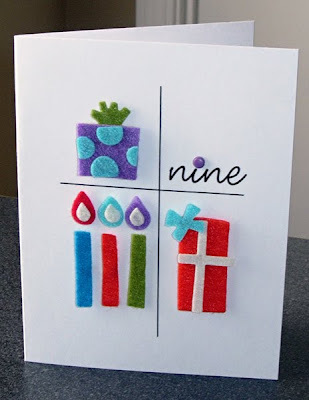 Felties are die-cut felt embellishments that are super easy to use. All you have to do is peel and stick! They are backed with adhesive foam that can be repositioned on the layout once or twice immediately after adhering. (Just be careful not to pull the felties off their adhesive backing.) They are well made with fine detailed stitching on some, and tiny googly eyes on others. The felt is beautifully cut and they are more durable than I expected being so small. I love that they come in common colors and themes so they are easy to mix and match with several other manufacturers’ products. They are the perfect size for scrapbooking, cardmaking, and other papercrafting projects. At about $ 0.45-0.83 (USD) an individual piece they are pretty economical as well. Are they something you see yourself using on layouts, cards, or other paper projects? Have you used these before? Did you like using them? Tell us what YOU think! I love felties-they make me smile! Cute..but not my style.I would not spend the money on them but the cards are a good way to use them. Your bookmarks are SUPER cute! I love the idea of using them for kid projects but would not use the felties on my pages (definitely not my style). I would love to know how you made the bookmarks- did use paperclip underneath? Hope you share your bookmark instructions. Thanks! In general I'm not a big fan of felt embellishments, but these are super cute. I might pick up a pack. I love what YOU did with them here. OMG, they are soooooo adorable. I wish I had loads of each and every one of them to make many-many cards for my niece and nephews. Absolutely! These are adorable. I just added all the ones available to my wish list at scrapbook.com and can't wait to get ALL of them! LOVE all your projects, too. These are SUPER cute! I agree with you that a holiday line would be a nice addition. These felties are cute. I especially like the flowers!! OMG such great projects! I LOVE the new felties and can't wait to get them. Now I have extra projects to use them for! Thank you! I think these are super cute. I have not seen them in my area. 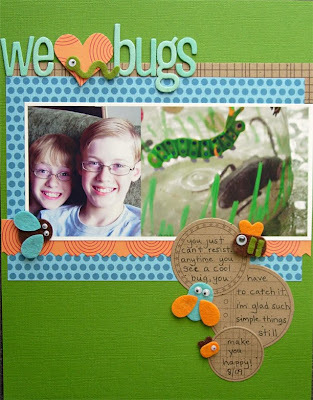 I am making a scrapbook(s) for my Godson, The bugs and truck would be a great inspiration for pages. Oh yeah, some of those are must haves. I really like the look of these. Those bookmarks are fantastic. Love, love, love the bookmarks and the card is just adorable! Felties are so too cute! I love them and have used them. I do agree that it would be nice to purchase several of just one feltie without having to purchase the whole set. I adore felties! I spend a small fortune buying them up when they first came out. I can't find a store in Canada that sells them yet. I have yet to actually use my felties. I love them so much, I want them in my stash forever. I havent been able to get my fingers on this babies, but i think that they are stinkin' cute! I LOVE THESE! They are so great and I'm glad that someone other then Making Memories is making them, because that means more variety! Your bookmarks are adorable. I'm making bookmarks for my book group for Christmas and may have to check back for a few of your quotes. Super cute! These felties are so right up my alley. LOVE 'em! I have 3 boys and could totally see myself using them time and again on boy LO's. So cute! I would use these on everything!! Those bookmarks are the cutest! How cute are those bookmarks? Seriously, I will be making those today! LOVE them! I also think that LO is precious!